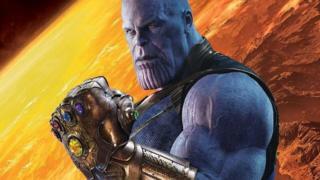 'Thanos demands your silence' - directors urge fans to keep the secrets. 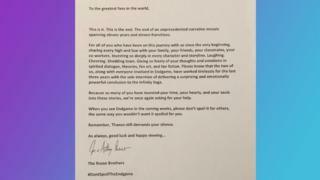 The directors of Avengers Endgame have written an open letter to fans to encourage them not to spoil the film for others. This comes after leaked footage from the film made its way online. The spoiler-heavy footage was filmed on a mobile phone and shared on social media, before being removed. Do spoilers ruin films for you? Let us know in the comments below. 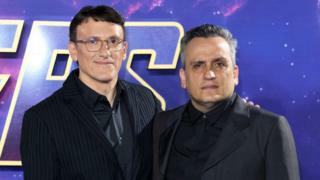 Joe and Anthony Russo, who directed the new film have asked: "When you see Endgame in the coming weeks, please don't spoil it for others, the same way you wouldn't want it spoiled for you." "Remember, Thanos still demands your silence." The directors have worked really hard to try to keep the film a surprise for fans, and even the actors! Brothers Joe and Anthony want to stop the spoilers! Karen Gillen, who plays Nebula said that the actors were only given the scenes they were in, to keep the biggest secrets hidden. And according to an interview with Robert Downey Jr, who plays Iron Man, Tom Holland, the actor who plays Spiderman had been given scripts with fake information in - as he is know for accidently revealing spoilers! Eleven years and 21 films later, Avengers Endgame will be the final film in the Infinity Saga. The film will be out on 25 April.